Prominent & Leading Manufacturer from Panchkula, we offer microprocessor viscometer s-9251 and microprocessor viscometer s-9253. Microprocessor Viscometer has the advantage of high accuracy, stable digital display, easy to operate and good anti-interference. It is widely used in the measurement of viscosity of various kinds of fluids such as grease, paints, food, medicine, adhesive and cosmetic etc., it can also be used to determine the viscosity resistance and absolute viscosity of the liquids. Its with led display. Measurement range is 20-20,00,000 MPA.S with 4 spindles, 6/12/30/60 rotor speed (rpm), + 5 % newtonian fluid. 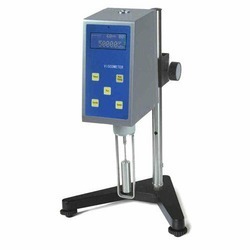 We are leading manufacturer and exporter of Microprocessor Viscometer. Microprocessor Viscometer has the advantage of high accuracy, stable digital display, easy to operate and good anti-interference. 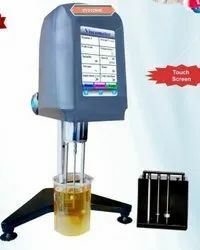 Viscometer can also be used to determine the viscosity resistance and absolute viscosity of the liquids.Its with led display.Viscometer is widely used in the measurement of viscosity of various kinds of fluids such as grease, paints, food, medicine, adhesive and cosmetic etc., Measurement range is 20-2000000 MPA.S with 4 spindles, 6/12/30/60 rotor speed (rpm), + 5 % newtonian fluid. Provided with RS-232c interface.